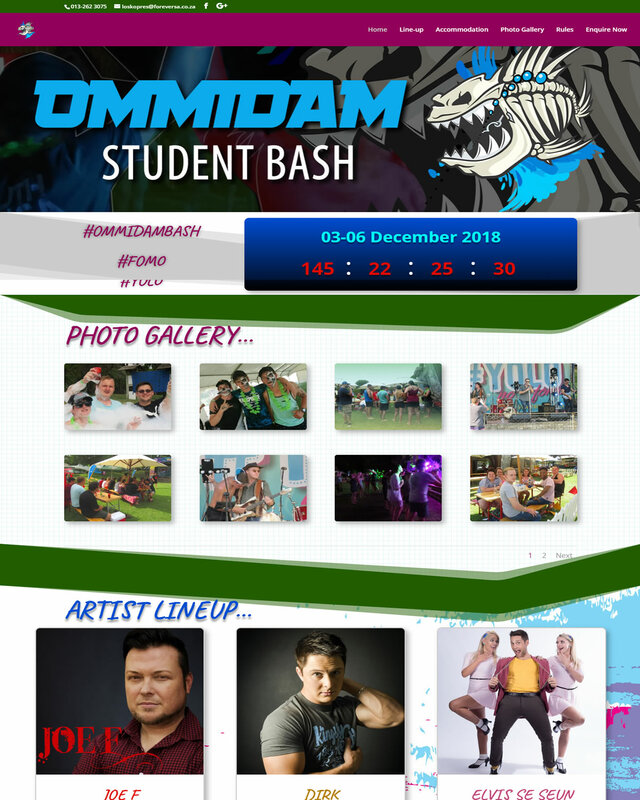 OMMIDAM STUDENT BASH is a yearly end-of-school festival hosted by Loskopdam, A Forever Resort. SES WEB assigned to design a website for the student bash that will be the primary point of contact and source of information regarding the fest. The website was built on the WorPress CMS platform and customised to match the celebration theme of this fantastic event. 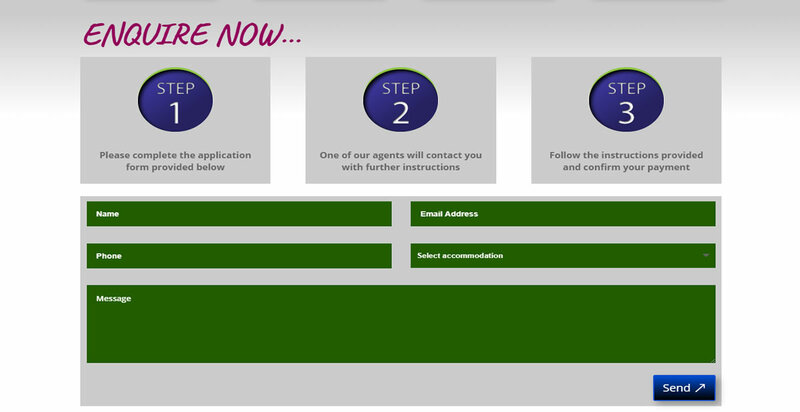 The website contains an artist line-up, accommodation packages, general rules and information, as well as a form-to-email application form that sends all enquiries directly to the central reservations office for further processing. Despite the media-rich nature of this website, we managed to produce a website that is fast to render across various devices and screen sizes (responsive design).